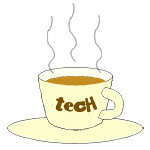 Exchange « Tech bytes for tea? As anticipated, the next release will move towards the Metro UI of Windows 8 and be more conducive for use on touch tablets. It’ll also be more tightly integrated with Microsoft’s SkyDrive, incorporate social networking features, whilst continuing its emphasis on facilitating collaboration. Check out the Customer Preview for the new Microsoft Office 2013. Microsoft CEO Steve Ballmer has just unveiled the new Microsoft Office, available for download here. The webcast from San Francisco was broadcast on July 16 (3am July 17 Singapore time). The preview is only for Windows, the Mac version of Office 2013 will only be available in the full release of Office 365. “The new, modern Office will deliver unparalleled productivity and flexibility for both consumers and business customers. It is a cloud service and will fully light-up when paired with Windows 8,” said Steve Balmer, CEO, Microsoft. Office 2013 will work with touch, stylus, mouse or keyboard across Windows devices, including tablets. OneNote and Lync will be the first new Windows 8 style applications for Office. These applications are designed to deliver touch-first experiences on a tablet. A new radial menu in OneNote makes it easy to access features with the finger. Included in Windows R will be Office Home and Student 2013 RT, which contains new versions of Word, Excel, PowerPoint and OneNote applications. These will be included on ARM-based Windows 8 devices, including Microsoft Surface. Documents and personalised applications settings can be stored on SkyDrive so that they will be synced and available as long as the user is logged on to the Internet. I’ll be trying out the preview but first impressions is that while Office 2013 is moving towards a Metro UI, much of it is still catered for the traditional Windows 7, which is slated to run alongside Windows 8 for some time yet. That’s good, because I’m never one to support change simply for the sake of change. Integrating with SkyDrive allows the user to switch between user accounts and to access their synced documents from multiple devices. Otherwise, most of the changes sound evolutionary rather than drastic. Stored settings include most recently used files, templates, custom dictionary, and where in the document you were at when you last quit the application. The new Office is available as a cloud-based subscription service. As subscribers, consumers automatically get future upgrades in addition to exciting cloud services including Skype world minutes and extra SkyDrive storage. The new Office is also social and lets the user stay plugged into his/her networks through Yammer, SharePoint, Microsoft Dynamics and Skype (which is included in Office). Ballmer discussed three new Office 365 subscription services, which will include the new 2013 editions of the Office applications — Word, Excel, PowerPoint, OneNote, Outlook, Publisher and Access. Subscribers will receive future rights to version upgrades as well as per-use rights across up to five PCs or Macs and mobile devices. The full lineup of offerings and pricing plans will only be announced in the fall. Find out the details about Office 2013 here. Research In Motion (RIM) and Microsoft have announced BlackBerry Business Cloud Services for Microsoft Office 365. An open beta for the service has been launched in more than 30 countries. “BlackBerry Business Cloud Services is an easy and cost-effective way for businesses and government agencies to extend Microsoft Office 365 to BlackBerry smartphones and manage the deployment in the cloud,” said Alan Panezic, Vice President at Research In Motion.The new RIM-hosted online service is targeted at midsized businesses and enterprises – extending Microsoft Exchange Online to BlackBerry smartphones, and allowing organizations to self-manage their BlackBerry deployments in the cloud. 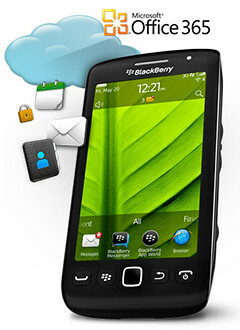 Access to Microsoft Exchange Online email, calendar and organizer data from a BlackBerry smartphone. BlackBerry Balance technology, which presents a unified view of work and personal content on a BlackBerry smartphone while keeping the content separate and secure. A web-based console for IT administrators to provision, manage and secure BlackBerry smartphones from anywhere. Online access to employee self-service smartphone security functions, allowing users to reset a device password or remotely lock or wipe a device in the event of loss or theft. A number of Fortune 500 customers and several government agencies in the US participated in an early access program and are among the many organizations that already plan to use the service. Microsoft Office 365 customers can sign up for the BlackBerry Business Cloud Services beta here. The cloud-based service is available for no additional charge to Microsoft Office 365 Midsized Businesses and Enterprises plan subscribers and works with BlackBerry smartphones on business or consumer data plans.